Built by pre-Hispanic Maya of the Yucatán Peninsula, today El Castillo (meaning “the castle” in Spanish) dominates the northern portion of the site of Chichén Itzá. The pyramid, which is built of stone, has nine levels topped by a small temple. El Castillo is a radial pyramid, with staircases on all four sides. The building's Maya designers took careful account of heavenly bodies moving through the sky. On the spring and fall equinoxes, for instance, dramatic shadows cast by the steep stairs fall along the pyramid’s northern balustrades, reminiscent of an undulating serpent body. Archeologists have found that El Castillo is a ‘nested’ structure, with a smaller, earlier version of the pyramid buried inside the one that stands today. Diego de Landa, the first Bishop of Mérida, visited this site in the 1550s or early 1560s and found it partially covered with scrubby jungle. Like other visitors to the Yucatán, then and now, he openly admired Maya architecture, writing “the buildings themselves, and their number, are the most outstanding thing that has been discovered in the Indies.” At the same time he believed the pre-Columbian past needed to be sacrificed for the Christian present, and future. Landa, perpetually on the hunt for “idolatry,” cautioned that human sacrifices were still be held in times of drought at the nearby cenote, and he also encouraged the dismantling of Maya ceremonial buildings at other sites to build Spanish cities and monasteries. But within Landa’s account are traces of the Maya view of the site. In the fecund region of the Yucatán, where abandoned sites are quickly taken over by trees and vines, Landa was able to see the ninety-one steps on each side of El Castillo (“that are killing to climb,” he wrote) and the massive serpent heads at the base of the staircases. 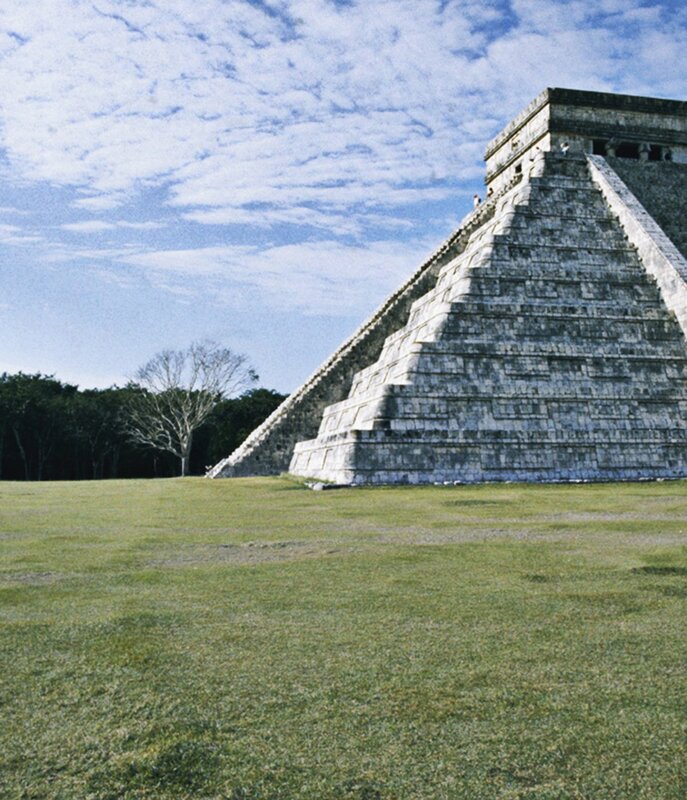 This indicates that Chichén Itzá remained an active pilgrimage site, cleared and maintained by the Maya. So where Landa sought to break the Maya from their “pagan” past, the Maya who visited this site may well have sought continuity. Clendinnen, Inga. 1987. Ambivalent Conquests: Maya and Spaniard in Yucatan, 1517-1570. Cambridge: Cambridge University Press. Houston, Stephen, 2012. "Telling It Slant: Imaginative Reconstructions of Classic Maya Life." In Past Presented: Archaeological Illustration and the Ancient Americas. Joanne Pillsbury, ed. Washington, D.C.: Dumbarton Oaks Research Library, 387-412. Landa, Diego de. 1978 . 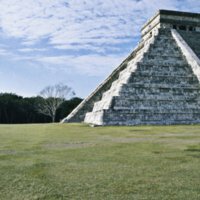 Yucatan: Before and After the Conquest. W.Gates, trans. New York: Dover. Landa, Diego de. 1994 . Relación de las cosas de Yucatán. M.C. León Cázares, ed. Mexico City: Consejo Nacional para la Cultura y las Artes.